Yanni Event home Willie NelsonSammy HagarOld DominionApocalypticaThe Rat Pack Is BackJojo SiwaGary Clark Jr.
With 35 Gold and Platinum records to date, Yanni remains one of the most popular and exciting international concert artists in the world! The creative force that is Yanni rode the New Age wave of the late 80s and 90s to achieve lasting success and critical acclaim for a unique blend of world music and esoteric textures that are drawn from multiple cultures. This eclectic fusion reflects the multi-instrumentalist/composer's "one world, one people" philosophy, whilst also reflecting his romantic, emotive musical style. Catch him as heads out on his latest tour of the US. 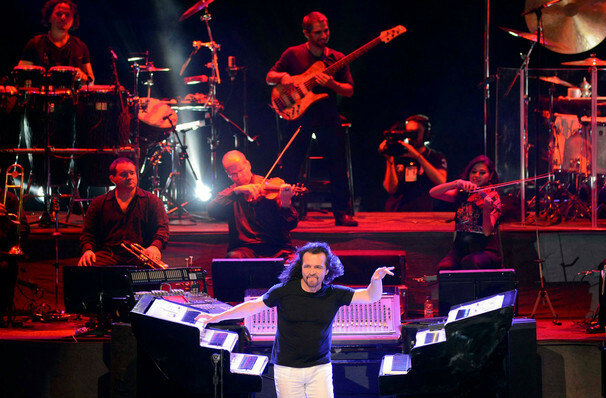 A consummate musician himself, Yanni is surrounded by a vast array of talented musicians of different nationalities when he takes to the stage. Praised for his innovative use of synthesizers and orchestral set ups, the muso is often surrounded by a myriad synths as he leads the instrumental bliss of his compositions. Expect an evening of uplifting beauty and awe-inspiring musicality. Sound good to you? 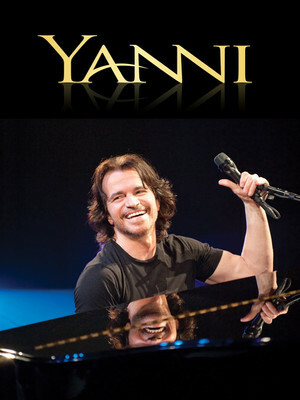 Share this page on social media and let your friends know about Yanni at Grand Sierra Theatre. Please note: The term Grand Sierra Theatre and/or Yanni as well as all associated graphics, logos, and/or other trademarks, tradenames or copyrights are the property of the Grand Sierra Theatre and/or Yanni and are used herein for factual descriptive purposes only. We are in no way associated with or authorized by the Grand Sierra Theatre and/or Yanni and neither that entity nor any of its affiliates have licensed or endorsed us to sell tickets, goods and or services in conjunction with their events.